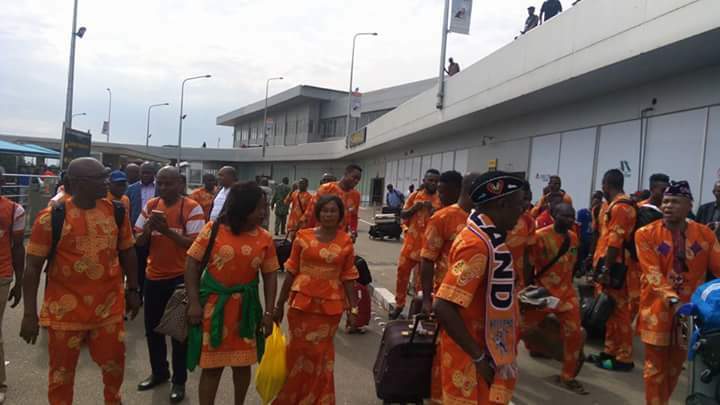 Home / Unlabelled / PICTURES: CHECK OUT THE COLOURFUL OUTLOOK OF AKWA UNITED AFTER THE SLAUGHTER OF THE HAWKS. 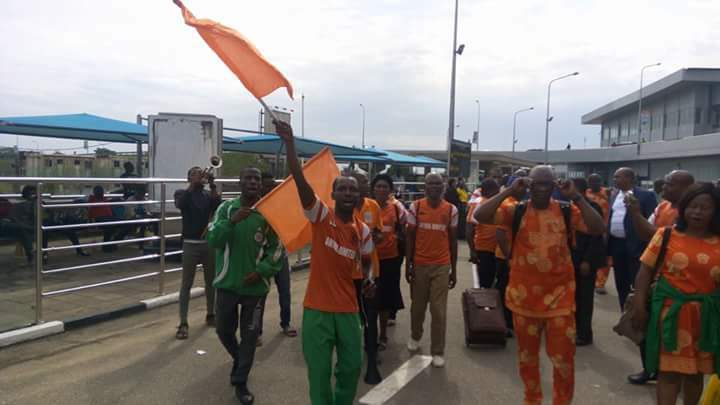 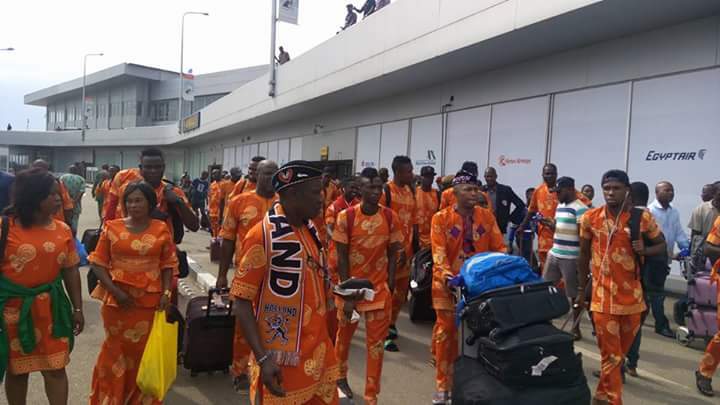 PICTURES: CHECK OUT THE COLOURFUL OUTLOOK OF AKWA UNITED AFTER THE SLAUGHTER OF THE HAWKS. 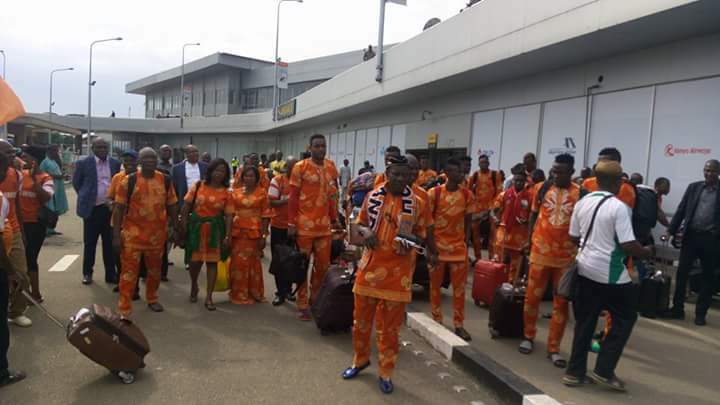 This is how you look and feel like after slaughtering the Hawks. 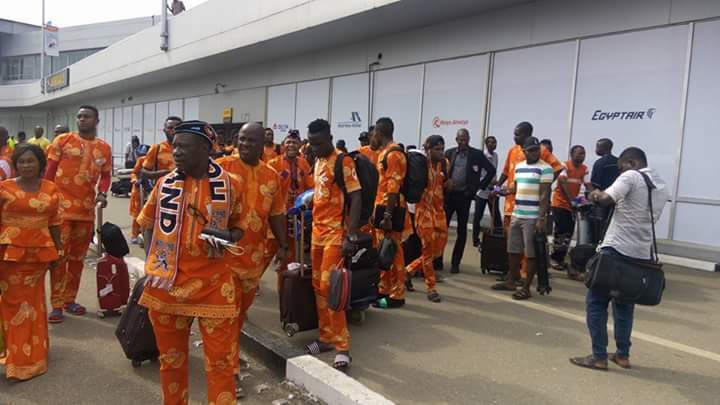 Akwa United rose from a home loss to eventually qualify to the next round of the CAF confederations cup at the expense of the Hawks of Banjul.